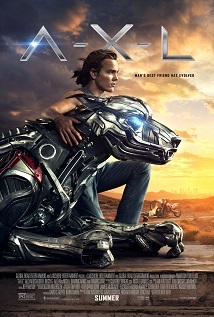 This is essentially the exact same movie as MONSTER TRUCKS, MAX STEEL, CHAPPIE, and every other corny flick where a couple of slackers manage to beat the government at their own game by accidentally figuring out the hidden powers of the newly found object. The only difference is that this one is much worse than those other films. The story never really goes anywhere, the effects are okay at best, the action in laughable, and the bad guys are an embarrassment to bad guys everywhere. There were several moments where I found myself looking at my watch, playing with the reclining seat, and losing interest in the movie completely. It is an entirely forgettable and boring film. It is PG, so it should be suitable for most kids, but there are a couple of scenes that are pretty scary and intense. You may want to check it out first before taking your young ones. But if that means having to see this movie twice, I truly pity you. There are some interesting looking films that your kids may really enjoy coming out soon. It's better to save your money by not seeing this one.